The Shiatsu treatment: it triggers the body’s natural ability to treat and heal itself. The goal is to regain our body’s normal function is using Hands-on Therapy, primarily the thumb, in order to apply accurate pressure on various parts of the body. In 1953, Dr. Palmer, the Principal of Palmer College of Chiropractic in lowa, USA, invited the Shiatsu Founder, Mr. Tokujiro Namikoshi, to the school to discuss his Shiatsu Therapy treatments. This was the first time that Shiatsu Therapy was introduced to North America. 45 years later, in 1998, we opened a Shiatsu clinic in North Vancouver, B.C. in the same year, in hopes of training future Shiatsu therapists; we opened of Canadian College Shiatsu Therapy. For 13 years, we have taught students the same Shiatsu techniques as those taught in Japan. We are one of the top level Shiatsu Therapy colleges in North America. We have had students attend our school from all over the world including: North America, South America, Europe, Oceania, Africa, and Asia. In modern society, people feel more stress than they did in the past. The Shiatsu treatment is slowly but surely gaining recognition all over the world. Therefore, shiatsu practitioners demand get higher. From now on, we will continue to work and share new knowledge with Shiatsu Schools in Japan, and those all over the world. We look forward to teaching many new students, in hopes that each of them will become and then hope they will become accomplished Shiatsu Therapists. Kiyoshi Ikenaga, Shiatsumaster, Chair of the Ikenaga Shiatsu International Holdings, and the Founder of the Canadian College of Shiatsu Therapy, was born in Tokyo Japan. 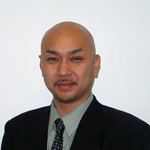 He is licensed as a Shiatsu Practitioner by the Ministry of Health of Japan. and is a Registered International Shiatsu Instructor with the International Shiatsu Association. He graduated from the Japan Shiatsu College and was a student of the founder of Shiatsu, Tokujiro Namikoshi sensei. His wide experience in the field of Shiatsu has lead to the development of his own derivative style of Shiatsu which he documents in his book, “Tsubo Shiatsu”. He is a director of the Canadian Shiatsu Society.